Browse: Home / brushes with fame, personal history / Could You Make It Out to Jack? “[Random public figure] replied to my Tweet!” gushed an otherwise austere friend. Socioeconomic levels be damned—there’s a bit of starf*cker in us all. Ah, but there were simpler times. 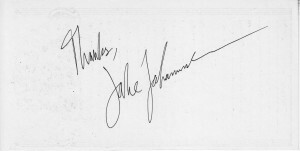 Back then, a signature was all you wanted. You just needed a scrap of paper and… and… hey, does anyone have a pen I can borrow? Thanks! 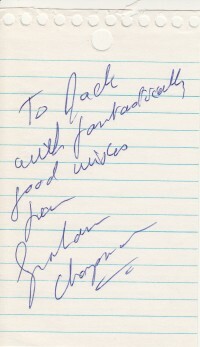 The autograph is not yet a lost art. But they’ve seem to become more formalized, either due to eBay-ability, or to the existence of a few remaining “traditional” autograph events (book signings, batting practice, merch tables at concerts, etc.). But how will authors sign e-books? 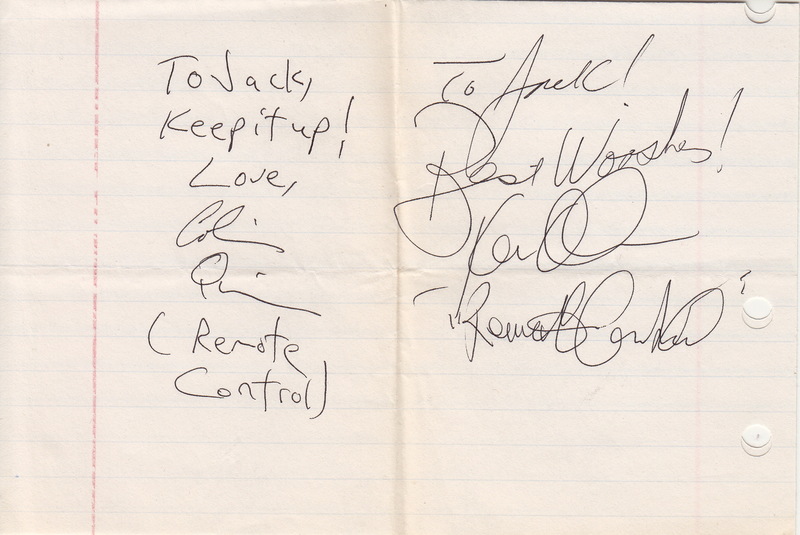 Let’s travel back, as I open up my collection of autographs from a more random era. You’ll see that my interests haven’t really changed. The first example dates from around 1974/75 (estimate based on the quality of the cartoon carrots I scrawled on the back, likely age 5 or 6). 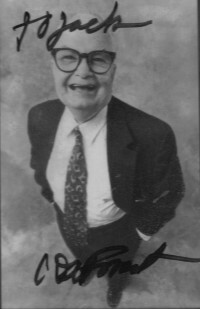 It’s San Francisco radio legend Dr. Don Rose. I have a vague recollection of attending a live remote broadcast. 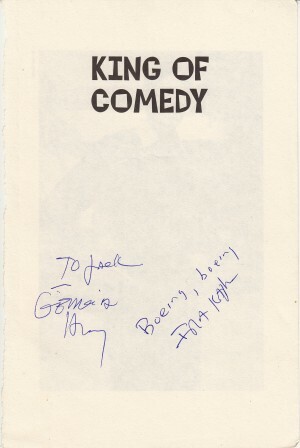 There’s no “To Jack” or “best wishes,” but I’ve always been proud to have this. My family relocated to the D.C. area. 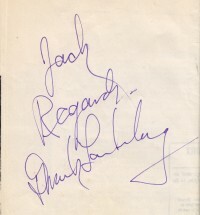 I don’t believe I was present for either of these autographs, circa 1980. 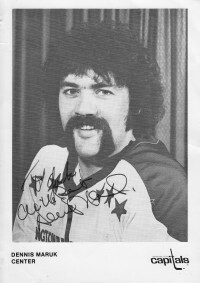 Rather, they were obtained for young sports fan Jack from then-recently retired Redskins defensive end Ron “Dancing Bear” McDole and Dennis Maruk of the Washington Capitals. The truth is, I’ve never really cared too much about football or hockey, then or now. But I appreciated the gesture. I did love radio, and I do remember going with my mom to a WINX-AM live remote at a Rockville, Maryland strip mall. I “won” an album by freaky Elvis tribute act Orion, which confused me to no end. 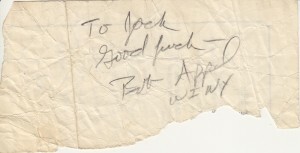 And I also got the autograph of program director Bob Appel. The next ones I know the exact date of (March 15, 1981), because they’re written on the back of the program. It was the United States Air Force Band Guest Artist Series at D.A.R. Constitution Hall. 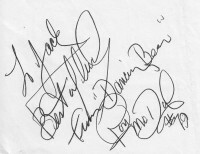 And though I didn’t get Mickey Gilley’s autograph, two members of his Urban Cowboy Band were kind enough to sign for 11-year-old me. Now soccer I did like. 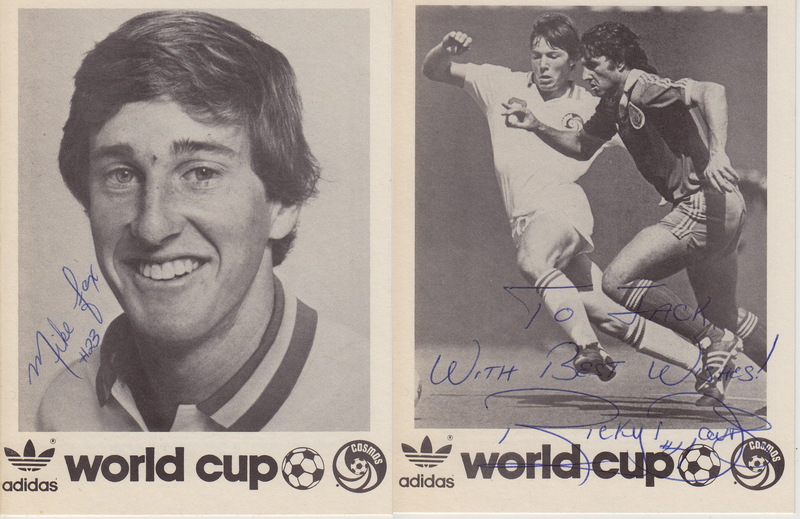 These must be from 1983/84, just before the NASL folded. 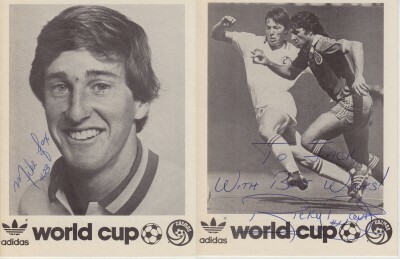 Was there a store called “World Cup”? And if so, did FIFA sue their asses? Anyway, I’m pretty sure these players made an appearance at the Quakerbridge Mall in central New Jersey, where we lived at that time. Sophomore year in my high school, students took a trip called “Washington Seminar.” It packed a lot of experiences and learning into a short time. Wednesday’s schedule says that at 11:55, we were to assemble in the Hart Building atrium, Senate side, and that we must be prompt! This is because we were to meet Senators Bradley and Lautenberg. In years to come, Bill Bradley would become a great hero of mine. He didn’t impress me that day, however. I think he just waved to us from a distance and bounced a basketball. Um, sorry, Dollar Bill, but we were 8 years old when your NBA career ended—it’s 7 years later and you’re just some guy in a suit. Frank Lautenberg, on the other hand, came and chatted with us—even spoke some Hebrew with my buddy Amit. 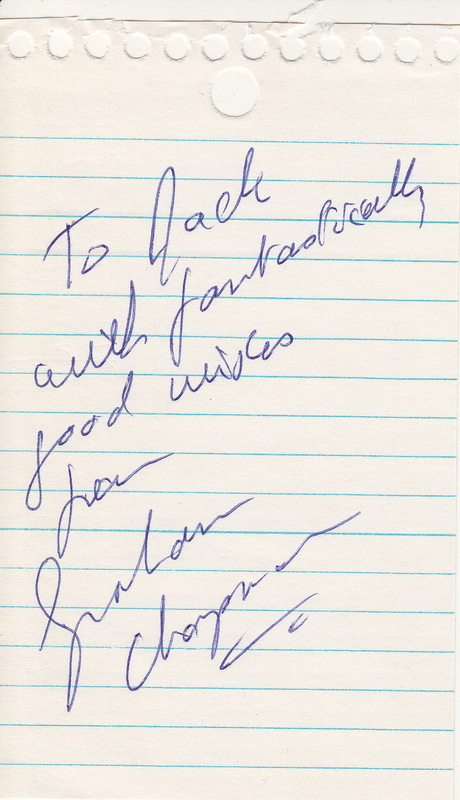 And he took time to sign autographs (mine on the back of—how did you guess?—Wednesday’s schedule). ABC News’ Ann Compton also spoke to us, and I amused her with a question about Sam Donaldson. Not sure where I got the random envelope she signed. And I’d been a gigantic Monty Python for years already, so it was excellent to go see Graham Chapman. This must’ve been spring of 1988… because he died in ’89. Ceased to be. Expired and met his maker. This was an ex-person. Ah, comedy. 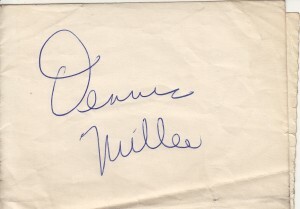 A huge part of my life and—along with sports and music—a tent pole of my autograph collection. (Tents can have three poles, right? I’m not much of an outdoorsman.) 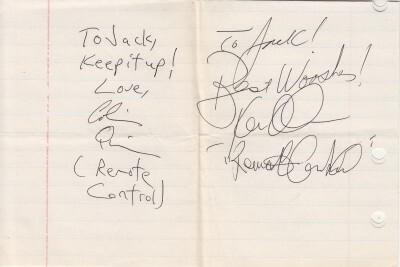 During that first summer break from college, my friend Steve and I went into the big city and saw a taping of the funny MTV game show, Remote Control. Host Ken Ober and sidekick Colin Quinn were nice enough to sign. I graduated and was in limbo for a while in Maryland and then, central Jersey again. Helping maintain my sanity was a Catch a Rising Star club they’d opened at the Princeton Hyatt Regency. WIth my friend Steve, I saw Gilbert Gottfried, and another time, Jake Johannsen, who’d been a favorite on Letterman throughout college. 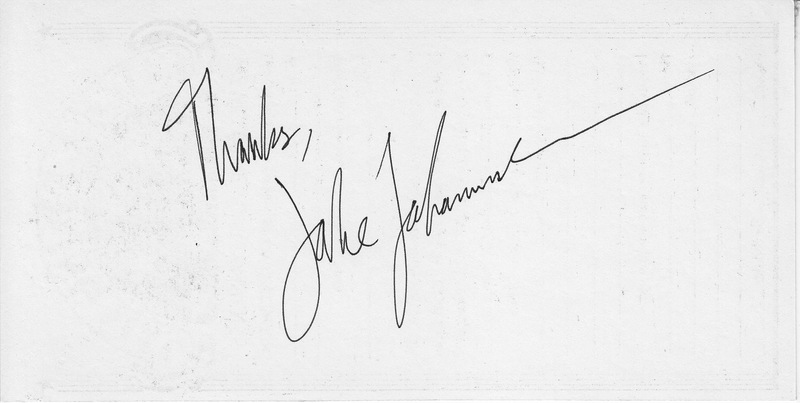 Jake signed the back of a Catch a Rising Star comment card. I eventually got a job in New York City. What a town! On the subway one night, I saw Larry “Bud” Melman sitting by himself. Well, I had to say hello… and maybe get an autograph? What luck, he carried around photos of himself, and a Sharpie! 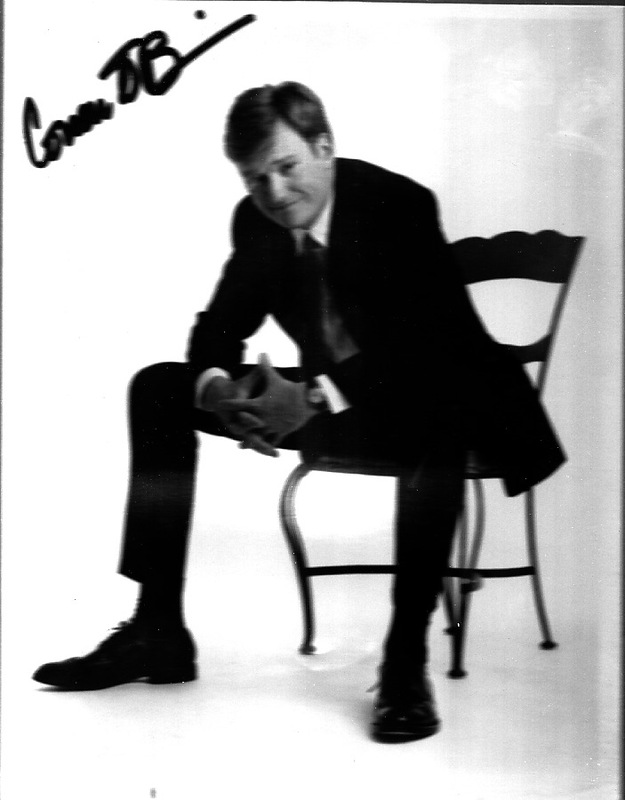 Speaking of NBC’s Late Night, who was the very nice person who got me a signed photo of the show’s new host? I apologize for forgetting, but I really appreciated it, and the picture is still framed in my apartment. Nice! Ira even made a reference to a fairly obscure Jerry Lewis film. Comedy and music. And… wait a minute… Yo La Tengo is named after a famous Mets story… I’d hit the comedy/music/sports trifecta! I can retire from the autograph game for good! 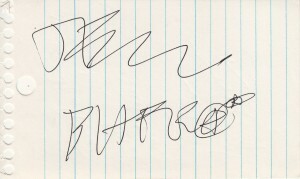 Posted in brushes with fame, personal history | Tagged autographs, comedy, New Jersey, New York, Pittsburgh, popular music, public figures, public transportation, San Francisco, sports, unpopular music, Washington D.C. I don’t think the art of the autograph is dead. I know kids who wait outside stage doors, Playbills in hand, hoping to get them signed by the performers they just saw. And at official signings, you have to buy the book/cd if you want anything signed. As for e-books, well, I know a couple of people who have had their Kindles signed, but admittedly that’s a limited amount of space. I don’t think the autograph is ever going to die, but admittedly in our hyper-connected society, it certainly means less. 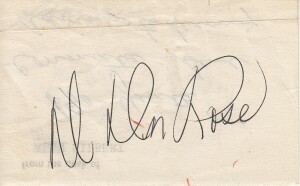 And you don’t have an Alice Ripley bubble letter autograph. You are so not finished. 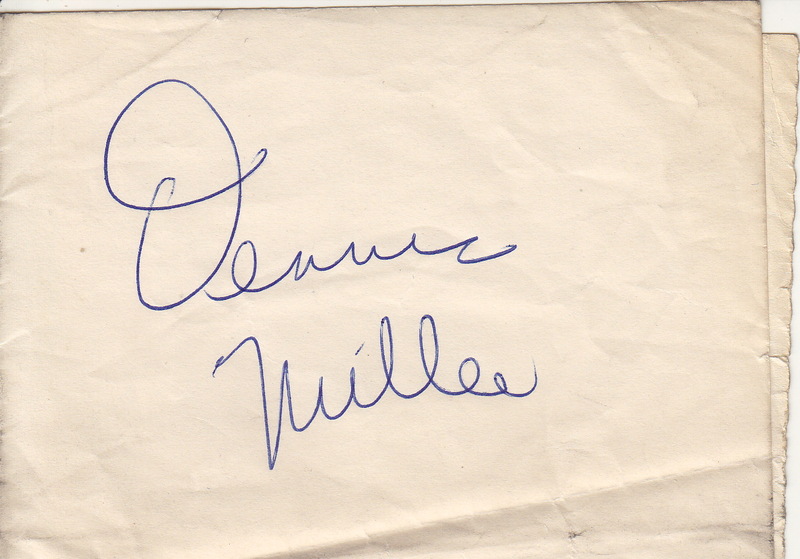 Ah yes, should have included stage-door johnnies in my list of traditional autograph scenes! What a neat remembrance piece! I love that you still have one from an AM radio program director in the ’70s. According to LinkedIn, he’s now general sales manager at WMET 1160 AM.